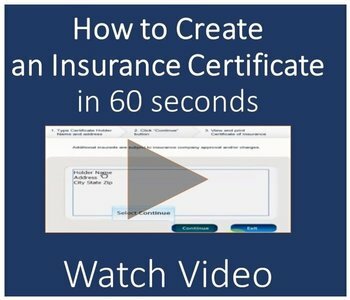 Create an insurance certificate in just 60 seconds. It’s free, easy and fast. Watch a short how to video presented by Fisher Insurance. Now that you know how to create an insurance certificate, get in touch! Whether it’s trucking, personal or commercial insurance Fisher Insurance Agency is here to help. Take a look at our Trucking Insurance options then give us a call at 1-888-871-2405 Monday to Friday between 9am and 5pm EST for your free quote. When you’re ready, click the image below to create your own insurance certificate.